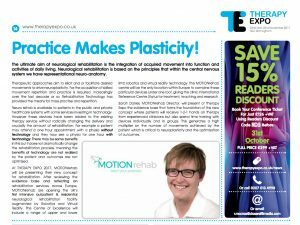 Clinical Director, Sarah Daniel featured in Therapy Expo newspaper discussing MOTIONrehab’s brand new clinic and unique neurological rehabilitation concept. MOTIONrehab®is pleased to announce that Clinical Director, Sarah Daniel has been featured in Therapy Expo’s Newspaper. At THERAPY EXPO 2017, MOTIONrehab® will be presenting it’s new concept for rehabilitation. 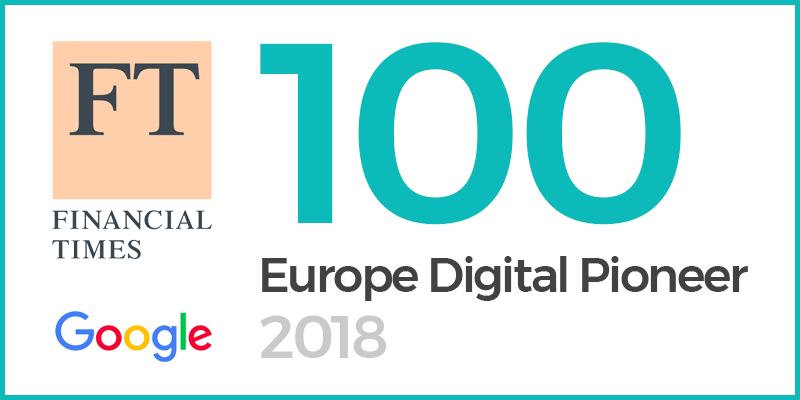 After reviewing the evidence base and reflecting on rehabilitation services across Europe, MOTIONrehab® are opening the UK’s first intensive outpatient & residential neurological rehabilitation facility augmented by Robotics and Virtual Reality. The Centre of Excellence will include a range of upper and lower limb robotics and virtual reality technology. The MOTIONrehab® centre will be the only location within Europe to combine these particular devices under one roof, giving the clinic International Reference Centre Status for treatment, teaching and research. Sarah Daniel, MOTIONrehab® Director, will present at Therapy Expo the evidence base that forms the foundation of the new concept where patients will receive 1-2-1 hands on therapy from experienced clinicians but also spend time training with devices individually and in groups. This generates a high multiplier on the number of movements achieved by the patient which is critical to neuroplasticity and the optimisation of outcomes.